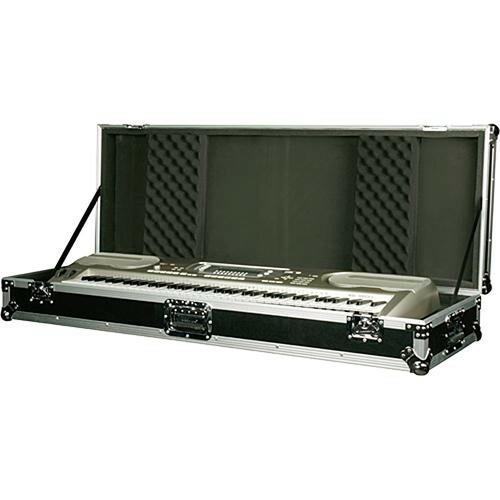 The Marathon MA-KB76W Flight Road 76 Note Keyboard Case (Black) is a vinyl laminated 3/8" plywood case with a Z-lock foam interior. It is designed to carry musical instruments or a 76 note keyboard. The case has metal ball corners and recessed chrome butterfly latches. It can be transported by a recessed spring-loaded rubber grip chrome handle or low-profile built-in wheels.